2018-05-21: The UK Financial Services Commission has issued an unauthorized firm warning against International Markets Live Limited trading as iMarketsLive. CLICK HERE to verify. 2018-05-25: British Virgin Islands Financial Services Commission has issued a warning, advising members of the public to exercise extreme caution in conducting any transactions with iMARKETSLIVE or International Markets Live, Ltd. CLICK HERE to verify. 2018-01-25: The Belgian FSMA has issued a public warning against International Markets Live (iMarketsLive). CLICK HERE to verify. 2017-12-19 The French AMF has warned the public against the activities of International Markets Live LTD (IMarketsLive). CLICK HERE to verify. 2017-10-10 The Financial Superintendent of Columbia has warned the general public about iMarketsLive. CLICK HERE to confirm. 2017-09-22 The Central Bank of Curaçao and Sint Maarten has issued a consumer warning about iMarketsLive. CLICK HERE to confirm. 2017-08-02 The Securities Commission of The Bahamas has advised members of the public to exercise extreme caution when considering whether to engage with this entity or persons soliciting membership, aforesaid, on behalf of iMarkets Live. CLICK HERE to verify. Other websites of this company include iMarketsLive.nl and many more. 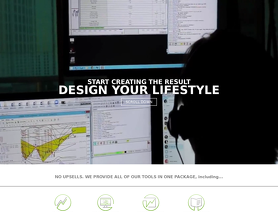 iMarketsLive purports itself to be a reputable trading company that features their harmonic scanner program. THIS WEBSITE AND SOFTWARE ARE TO BE AVOIDED! Numerous gov't financial regulatory agencies and defrauded customers have filed complaints. I created the rules for harmonic patterns and their software and services are NOT EVEN CLOSE TO THE CORRECT STRATEGIES. Furthermore, their questionable business practices are well documented.